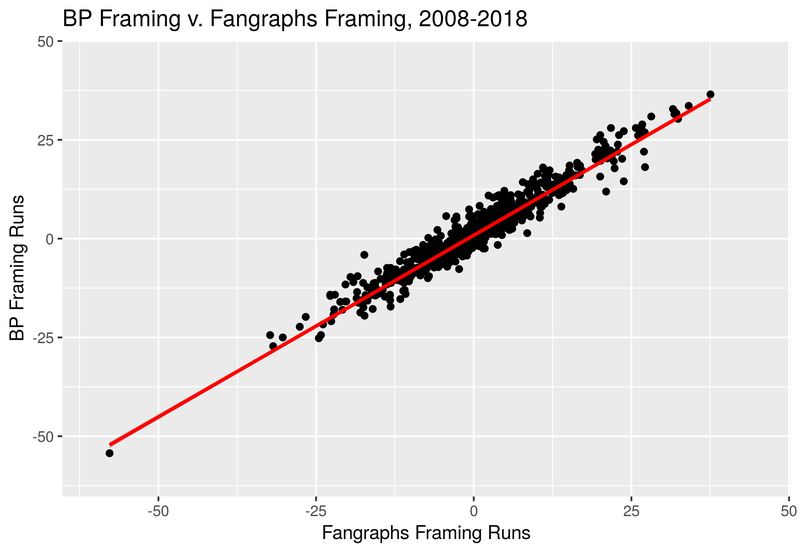 In what follows, I’ll briefly lay out a series of steps for calculating how many framing runs each catcher contributed as well as and how many extra strikes each pitcher was granted (or, in some cases, earned). This much has all been done and clearly described before thanks to Dan Brooks and Harry Pavlidis; that research was updated and expanded upon by Pavlidis and Jonathan Judge. 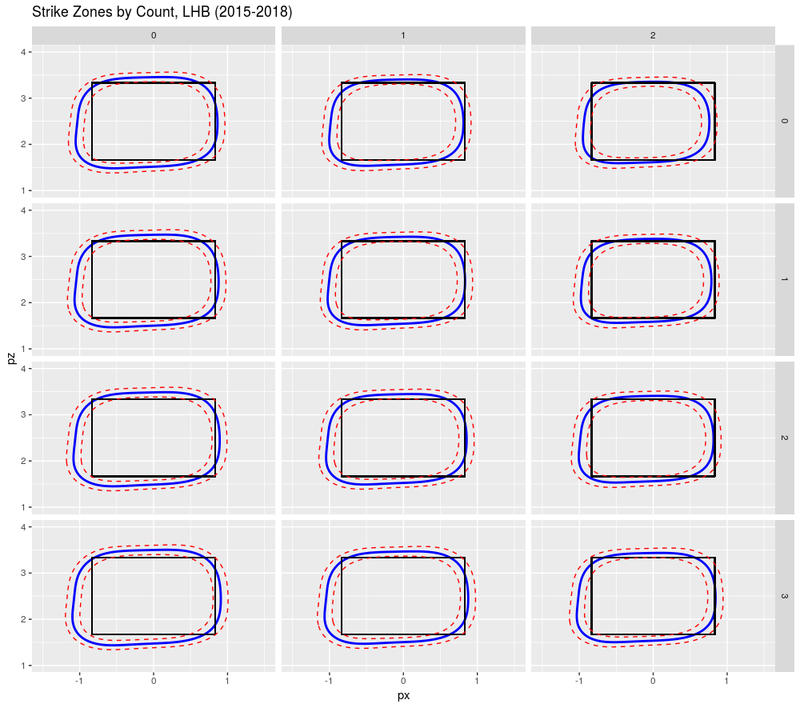 I’ll then compare the values I’ve obtained to the ones created by Baseball Prospectus, StatCorner, and Sports Info Solutions and demonstrate (I hope) that those extra strikes really do result in extra strikeouts and fewer walks. Lastly, I’ll discuss what this means for Steamer forecasts. 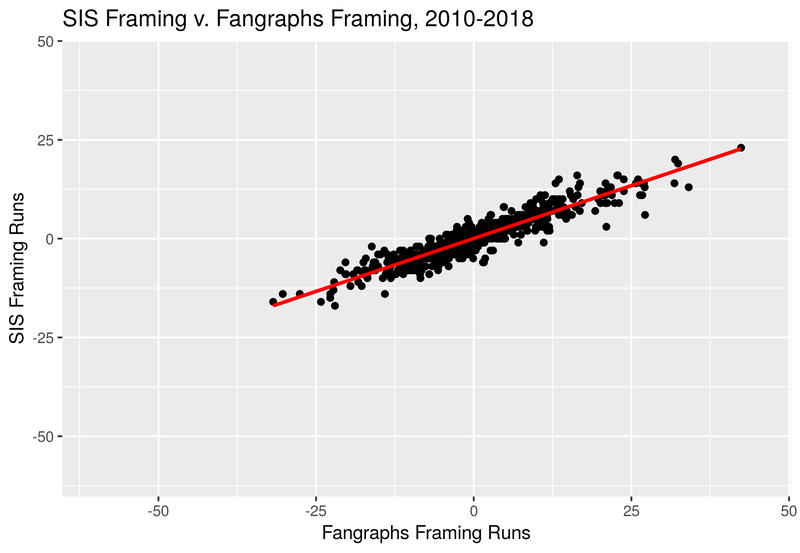 We hoped you liked reading FanGraphs Pitch Framing by Jared Cross! This is so awesome. Also, with the adjustment, Brian McCann looks like he might be a Hall of Famer. He’s also “missing” 2500 innings of framing benefit at the start of his career (2005-07). That could be another 70-80 framing runs or so: a further 7-8 WAR bump. 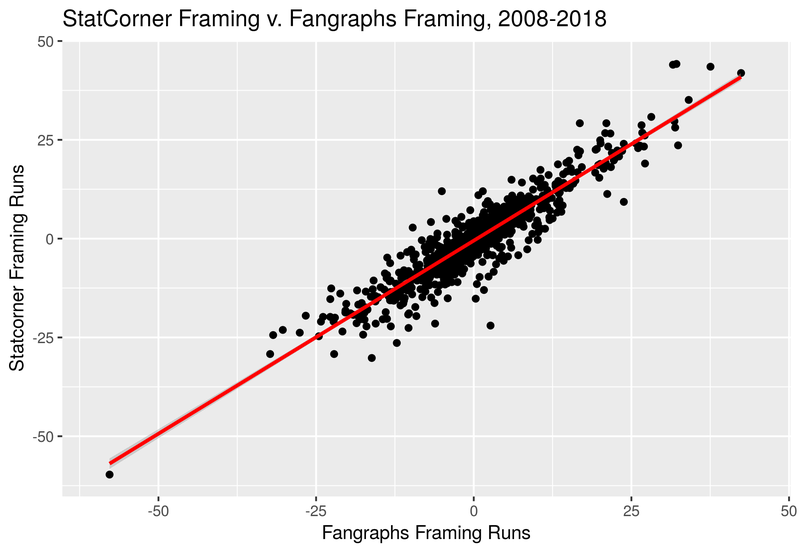 Of course, lots of the catchers in the HoF (and plenty who aren’t) would presumably have gotten bumps for framing in the past, and the all-time leaderboard is no longer a fair comparison.